Tunisia is a small country in the Maghreb (North Africa) situated between Algeria and Libya. In 814 BCE, the Phoenicians founded the powerful maritime and commercial city of Carthage not far from Tunis. This ancient civilization soon extended its dominion over the entire Mediterranean region until it was razed to the ground by Romans in 164 BCE. Today Sfax, about four hours by car from Tunis and the country's second largest city, is a university, industrial and port city. Marburg's Tunisian twin city is known for the industriousness of its citizens. A former French protectorate, Tunisia declared independence in 1956, but then spent many years under the rule of various dictators until the "Arab Spring" swept through the nation and also the city of Sfax in 2011. In the first free elections on 23rd October 2011, the Islamic Ennahdha party of Rached Ghannouchi was victorious. Europeans can experience oriental trading culture – fabrics, ceramics, bags – within the historic city walls of the old town (medina) of Sfax. Nearly everything is negotiable. The old town, a "ville arabe" (Arab city), is the heart of Sfax, although all the important administration bodies are in the new part of town. The Castle District (Kasbah) and the main mosque going back to 849 CE complete the picture, although the mosque has been rebuilt several times. Under colonial influence since the 19th Century, Sfax landowners helped create one of Tunisia's most important olive-growing regions in the area surrounding the city. 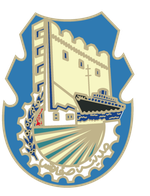 Sfax is now one of the largest industrial cities in Tunisia, with phosphate mining and the textile, construction and mechanics industries. The port of Sfax - created in 1898 - was completely destroyed during the German campaign in Africa in 1942-43. Today it is not only a trans-shipment centre, but also a major fishing port.